The day that just ended, the 12th of Tevet, was the yartzeit (anniversary of death) for both of my Diamond grandparents--21 years apart. 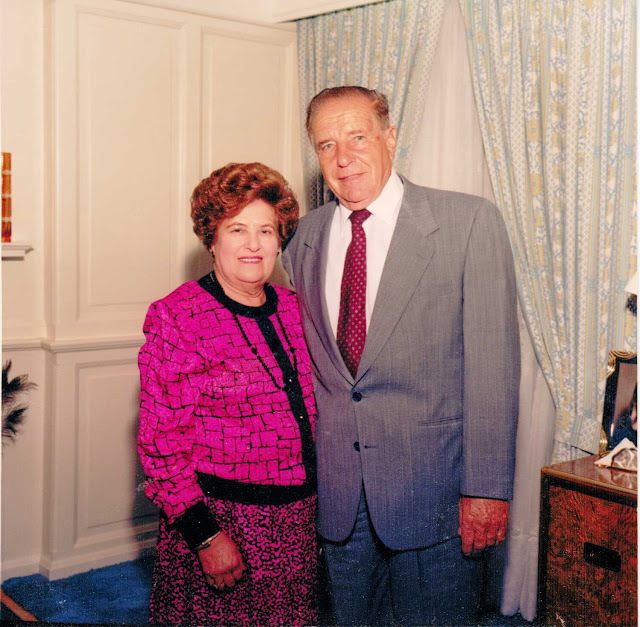 My grandparents were both Holocaust survivors who went through incredible hardships, married while living in a Displaced Persons camp, moved to America, and then--in an entirely new country--started a family and a business. My great-great-great-great grandparents were Gershon and Tobe-Rifka Fuchs. Tobe-Rifka died at some point between 1850 and 1869, and I've not found her death record; records relating to her use both the names Toba-Rifka as well as just Rifka. I had records relating to several of her children, but none included her maiden name. 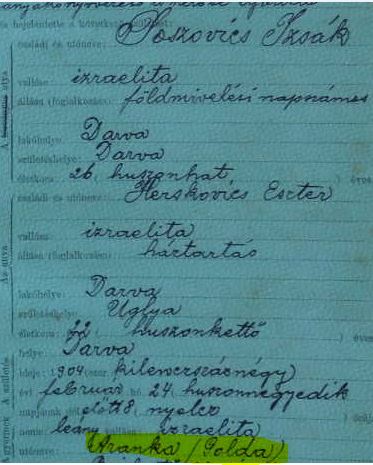 1919 Death Record of David Fuchs--mother is simply "Toba Rifka"
RootsTech is now about 2 months out! And it's looking to be an exciting year. Keynote speakers announced so far include Dr Henry Louis Gates, Brandon Stanton (of Humans of New York), and Scott Hamilton. And then there are the 200+ sessions over four days, the enormous expo hall, and the ability to network with many thousands of genealogists from around the world. So check it out and get registered! My grandmother's older brother, my Uncle Izzy, was born in what is now Kolodne, Ukraine. He had told me about his two first cousins, Golda and Feige. I wrote earlier about finding their birth records as well as Feige/Fani's marriage record and the birth of her children--but at the time I wrote that post, I hadn't yet found anything about Golda. Well, it turns out that I already had records of some of Golda's children's births--but I didn't realize that at the time. When you're Ashkenazi Jewish, yDNA tests are often not as useful as they are for Western Europeans--or even Sephardic Jews. yDNA is passed father to son, so it tracks with surnames; therefore a Williams or a McDonald male takes a yDNA test would expect many matches with surnames of Williams or McDonald. But most Ashkenazic Jews haven't had surnames for longer than 200 years (some even less), so generally a yDNA test on an Ashkenazic male yields a match list of multiple completely unrelated surnames. I've tested males in several of my surname lines, and no one had any matches with their own or similar surnames (other than known relatives). But then a few months back, another Diamond popped up on my father's yDNA kit. I've written before about my friend Brooke Schreier Ganz and her incredible work with Reclaim the Records, in which she uses Freedom of Information laws to get US vital records into the hands of genealogists. Well, Brooke has a distant cousin in Ukraine who is trying to do the same thing there! Alex Krakovsky is working to digitize records from Ukraine's archives to be freely accessible to researchers across the world. However, some archivists are not allowing him to do this work--despite the fact that Ukrainian law clearly states that photography of records is permitted free of charge. So, like his cousin Brooke, he is going to court! 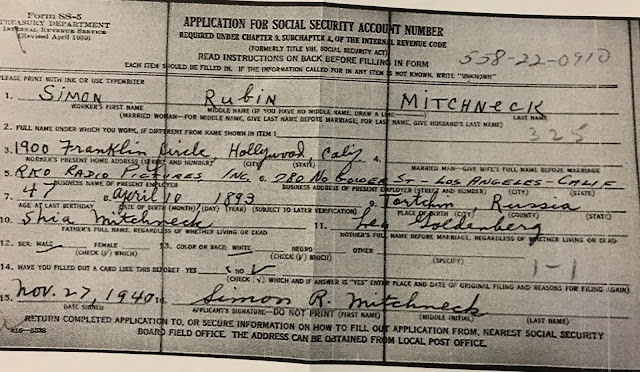 I mentioned several months back that my father's first cousins Berly and Alvin mentioned that Simon Mitchneck, a famous Hollywood voice coach back in the day, was somehow related to us. I'd researched the four Mitchneck brothers who came to America and discovered that they were from Torchin, in what is now Ukraine. I found letters from their sister enclosed in Simon's passport applications that spoke about the family's desperate situation in the aftermath of World War I.